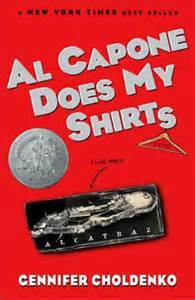 Of all the books my students read in our 4th and 5th grade book club this fall, Out of My Mind was their favorite. Sharon Draper, who has a disabled daughter herself, tells a story of a disabled girl who is constantly underestimated and misunderstood but who is extraordinarily smart and determined. Melody is 10 years old and has cerebral palsy. Her disability affects her in many ways. Melody is unable to walk and cannot balance when she sits up. She sits, strapped into a wheel chair. She can’t feed herself, cloth herself or go the bathroom by herself. Sometimes, she can’t control her body movements. Far more frustrating for Melody, though, is the fact that she can’t talk. But, don’t feel sorry for Melody. Melody is brilliant. In fact, she has a photographic memory. If people knew how smart she was, they might not underestimate her so much. Imagine knowing what’s happening around you and wanting to speak, but being unable to speak. No one around her, not even her parents, fully understand how much Melody knows or what she thinks about. 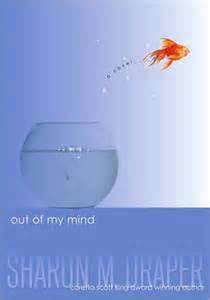 It might make you go out of your mind, like a fish in a tiny fish bowl who just can’t stand those glass walls anymore. At school, Melody is placed in a room for children with disabilities. Unfortunately, there, having disabilities means that people also think you’re stupid and try to teach you the alphabet in third grade. Luckily, Melody has champions who fight for her. Her parents are constantly trying to explain that Melody is an intelligent child who needs people to teach her. Ms. V., Melody’s neighbor who has taken care of her since she was a baby, while Melody’s parents work, needs no convincing about Melody’s intelligence. She works with Melody, developing word cards so that Melody can communicate. Catherine, Melody’s aide at school, works with Melody to find a machine that can help her speak. When Melody gets her machine, she finds her voice. It is an amazing gift. Everyone learns just how incredibly bright Melody is. Melody has opportunities that she couldn’t have dreamed of the year before, including joining mainstream classrooms. This book does such a wonderful job of explaining Melody’s condition and limitations in away that doesn’t let you feel sorry for Melody. Draper’s writing gives Melody an authentic voice that really speaks to students. Melody’s disappointments and frustrations are easy to imagine. Her victories make you feel great. This book is part of a great Scientific Mystery series. I shared this book with my third grade class. I love sharing non-fiction books with them. 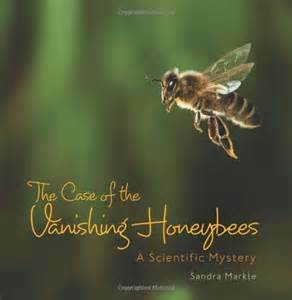 This book focuses on CCD, Colony Collapse Disorder, or the disappearance of worker honeybees from their hives. Bee hives are left with their queen and her brood (developing bees). I particularly like this book, because the author, Sandra Markle, does such a great job in building the mystery for students. The book begins with the question: “Where are all the honeybees?” Markle’s next topic in the book is the importance of honey bees to all of us as pollinators. She explains exactly how bees gather nectar and pollen. The book continues with more on the mystery. Scientists team up with the bee keepers to discover why the worker bees are not returning to their colony. They believe the worker bees are dying. Markle talks about the role of worker bees and tells of all the different bees in the hive, including the queen and the drones. Then, she goes on to explain the different hypotheses scientists developed to explain what might be killing the honeybees: honeybee’s habitats are changing as areas become more developed; honeybees might be overworked as they are moved from region to region in the country, coinciding with growing seasons; beekeepers, in an effort to keep honeybees working, feed honeybees sugar syrup, which could weaken them. The answer might be cell phones or even mites, a fungus, or pesticides. While this book doesn’t present the answer to the mystery, the ending is satisfying for students. It suggests that the answer may be a combination of the factors mentioned and that scientists are continuing their study of honeybees and their colonies to try to find the answer to this question. I thought this book did a great job of teaching students how science connects to real world issues. The photographs are terrific and the explanations of the problem and its possible causes are clearly and attractively presented. I highly recommend this book to 3rd-5th grade students and their teachers. Thanks to Junior Library Guild for this great selection. We just wrapped our 4th and 5th grade fiction book club last week. Last school year, I hosted a California Young Readers’ Medal book club. I loved seeing our best readers bond as a group. When I say these students are our best clients, I’m serious. These kids really read. I chose five books for my students. I started with these books: Al Capone Does My Shirts, by Gennifer Choldenko; The Land of Stories: The Wishing Spell, by Chris Colfer; The Graveyard Book, by Neil Gaiman; Out of My Mind, by Sharon Draper; and What We Found in the Sofa and How it Saved the World, by Henry Clark. I chose The Land of Stories, because my niece, a fifth grader, told me the Land of Stories was one of the best books she’d read. I loved it, myself. Not only did most of my students finish all five of the books I chose, they added books to my list and managed to finish most of those books, too – all while checking out library books to read each week. Wow. H ere’s what my students added to our reading list: A Stone in My Hand, by Cathryn Clinton; Elijah of Buxton, by Christopher Paul Curtis; Island of Blue Dolphins, by Scott O’Dell; Almost Home, by Joan Bauer. Great choices. I loved every one of these books myself. At our party, I polled all my students on their favorite books. Out of My Mind won by a mile. My niece Face Timed me last week to tell me that she’d just read another great book…Out of My Mind. 🙂 I wish she could join my book club! Look for reviews of these books soon. Here’s my next entry in the “Clever Alphabet book” category. I’m kidding, I don’t have a Clever Alphabet category on my blog, but I think I might need one now. My first entry in this budding category, The Z was Zapped by Chris Van Allsburg, is a fun, if dangerous, alphabet book. Take Away the A takes each letter and removes it from a word to make a new word. “Without the C, the Chair has Hair.” “Without the L, the Plants wear Pants.” Clever, right? 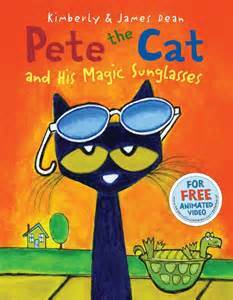 My second graders thought so and had a great time reading this book with me. The illustrations, by Kris Di Giacomo, are lots of fun, too. 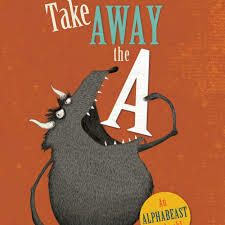 I highly recommend this book to early readers who will love figuring out what happens as each letter disappears. Stay tuned for my next clever Alphabet book, Oliver Jeffers’ Once Upon an Alphabet. 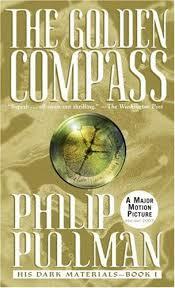 I’ve had The Golden Compass on my school library shelf for three years. I’ve wanted to read it and never had the opportunity. With so many students all eager for fiction recommendations, my reading list can be long and scattered – science fiction, mysteries, fantasy, realistic fiction. I’m often reading several books at one time. One or my fourth grade students simply tore through this series this fall. I’m grateful to her for putting this book and series back on my radar. The beginning of this book really grabbed my attention. I didn’t stop reading until I’d finished the book. The Golden Compass is the first book in the “His Dark Materials” series (The Golden Compass, The Subtle Knife and the Amber Spyglass). Lyra is the main character. Her world resembles the current world with recognizable countries and geography. Every human being has a daemon, an animal that acts as an expression of each person’s soul, and is their closest friend. Daemons change form as a child grows and eventually settle into one animal form when the child becomes an adult. Lyra is being raised by the Scholars at Jordan College. Lord Ariel, her uncle, visits Lyra occasionally, but she is largely left to her own devices. She spends most of her time with her best friend, Roger, a kitchen boy. Together, they get into a lot of mischief, battling with other children, climbing onto the roof of the College and discovering all that tunnels and rooms that lie beneath the College. The story begins as Lyra, a girl, and her daemon, Pantalaimon hide in a wardrobe in the Retiring Room at Jordan College. Hidden, she sees the Master of the College walk into the room and put poison in the wine glass of the visiting Lord Asriel, who is soon to arrive. Lord Asriel enters the Retiring Room only to catch Lyra, hiding in the wardrobe. Lyra tells him of the poisoned wine. Grateful to know about the plot to kill him, Lord Asriel allows her to crawl back in the wardrobe so that she can see the slideshow he is presenting to Scholars at Jordan College. The slideshow shows the Aurora in the North and an image of a city in the sky. Lord Asriel speaks to the group of Scholars about a mysterious substance called “dust”. Lyra is fascinated by the images Lord Asriel has shown the group. She is curious about everything she has heard and wants to visit the North to learn more about “dust” and the City in the sky. From that day forward, Lyra’s life changes completely. She and Roger begin to hear rumors that children are being stolen from Oxford and surrounding areas. Then, Roger is abducted. Lyra also learns that Lord Asriel is being held prisoner in the North. Then, the Master of the College tells Lyra that she must leave Jordan College and go live with Mrs. Coulter, a beautiful and charming, but mysterious, woman. Before she leaves the College, the Master gives her a strange device called an alethiometer, that looks like a compass. She is told to keep it safe from others. Lyra soon finds out that she has a special gift that allows her to “read” the alethiometer. She learns more about her family and the evil that exists in her world. She is forced to run away from Mrs. Coulter’s house and is found and protected by Gyptians, a nomadic people who move from place to place on their boats. Together with the Gyptians and an armored bear called Iorek Byrnison, Lyra heads north to free her friend Roger, the other lost children and Lord Asriel. This is a fast-paced book’s unfolding mystery will hold you in suspense until the final pages. There are truly evil characters and smart, loyal characters that you’ll come to love. Lyra is brave and determined to fight the evil she sees. 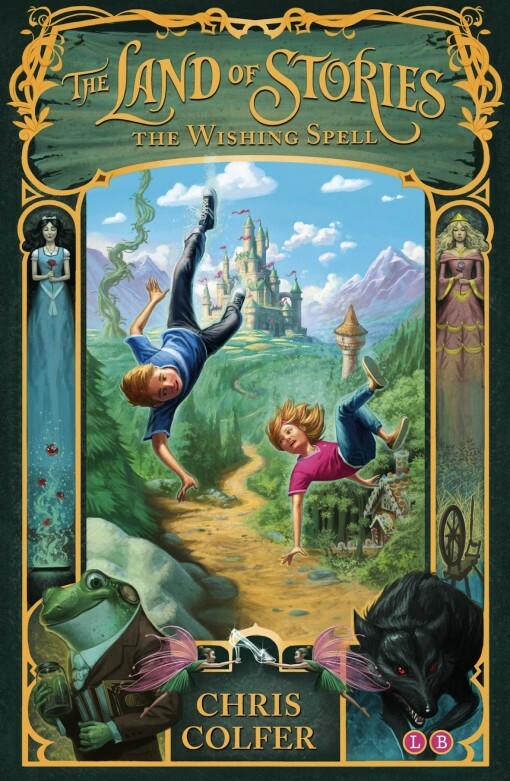 I highly recommend this book to fourth grade-middle school readers who love mystery and fantasy.